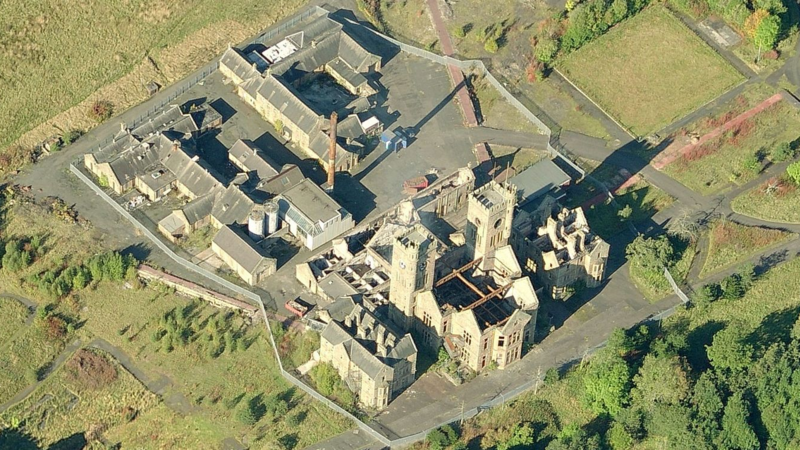 Construction work begin in 1890 to build what was originally known as Lanark District Asylum. Construction work would take five years at a cost of £135’000. Built originally to hold 500 patients across 6 wards it was a completely self sustaining with its own gardens, cemetery, farm, power plant, reservoir, staff accommodation and railway line. Patient intake peaked in the early 1900’s with nearly 1’000 patients before the beginning of the first world war. Like many other asylums its demise occurred initially with the drug breakthrough of the 1950-60’s and the final nail in the coffin when the 1990 care in the community act was passed. The hospital closed in 1999. It was briefly used as the location for a local community based television channel (LTV) till the end of 2001. A severe fire in 2004 saw extensive damage to the kitchens, main hall, shopping mall and the stunning clock towers. The rest of the outbuildings were demolished after this fire. It has subsequently suffered from further fire damage and neglect.